Balderson Premium Cheddars and Premium Aged Cheddars are one of Canada’s most popular and sought after brands in cheese. Our award winning cheeses are greatly appreciated as gift items and are ideal as gifts for any special occasion, holiday, fund raising event, celebration or just as a simple “thank you”. 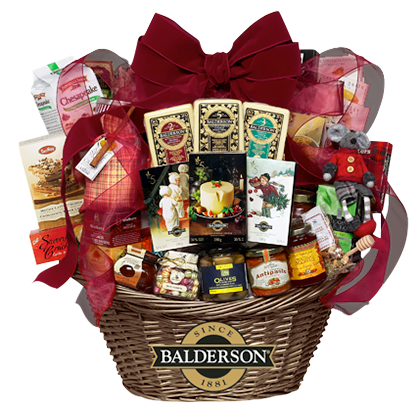 While we do not provide a direct to consumer gift basket program, there are a variety of fine food retailers that offer a wide selection of either Balderson Gift Boxes or include Balderson Cheese in their Gift baskets. Please contact a cheese store or deli retailer in your area and enquire about Balderson Cheese as a gift item. Below are some of the find food retailers that proudly carry Balderson Cheese.